Learn more about gun safety so that you can reduce your risk for firearm accidents. In recent years, there’s been much debate about gun safety. However, no matter your opinion about gun control, it’s important to know about gun safety. Firearm-related accidents accounted for nearly 34,000 deaths, according to the Centers for Disease Control, and is almost equal to the number of motor vehicle traffic deaths. Knowing how to safely handle a firearm is key to reducing the risk for an accident, especially when it comes to kids. The more you know, the safer you are. Here are a few tips to help you and your family practice gun safety. It’s important that you keep your gun stored safely. Ensure that unauthorized people do not have access to the gun. Keep the gun locked away and invest in the necessary locking devices. Additionally, it’s important to keep the gun unloaded, until you’re ready to use it. Never store a loaded gun. Be Cautious when handling a Gun. It’s important that you use a gun responsibly. Be present and mindful when handling a gun so that you can keep it pointed in a safe direction where it can’t inflict harm. When holding a gun, keep your finger off the trigger until you’re ready to shoot. Never use a gun while under the influence of alcohol, drugs or any mind-altering substances. Always check to be sure that you use the correct ammunition. Talk to Your Kids and Others About Gun Danger. It’s imperative that you talk to your kids about gun danger, whether you own a gun or not. That way if your child is ever in the presence of a firearm, they leave it alone. 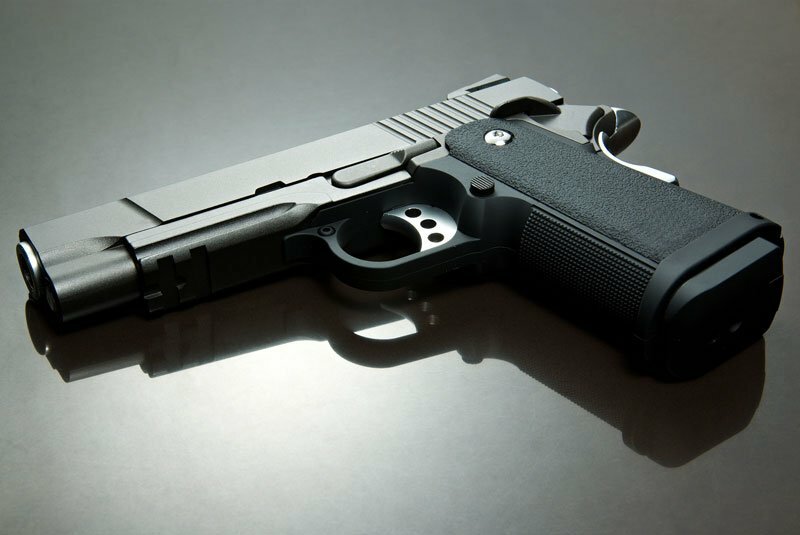 Instruct your kids to never touch a gun and if they ever come across one to notify an adult. If your child is visiting a friend or relative’s residence ask the parent(s) if they have guns in the home. It’s important that you know how to use a gun safely. Take a course so that you’re well trained in how to handle and shoot a gun properly.